Its claim of representing Islamic ‘orthodoxy’ is the Saudi regime’s principal tool of seeking ideological legitimacy. Saudi Arabia prides itself on being, as it calls itself, the only ‘truly’ Islamic state in the world, although this claim is stiffly disputed by many Muslims. Official Saudi Islam, or what is commonly referred to as ‘Wahhabism’ by its opponents, is the outcome of the movement led by the eighteenth century puritan Mu-hammad bin ‘Abdul Wahhab (1703-91), who, along with Mu-hmmad ibn Saud, was the chief architect of the Saudi state. Exporting ‘Wahhabi’ Islam to Muslims elsewhere in the world emerged, particularly from the 1970s onwards, as a major preoccupation of the Saudi regime. This was seen as a vital resource in order to gain legitimacy for the Saudi Arabia monarchy. Transnational linkages are thus crucial in the project of contemporary global ‘Wahhabism’. Since ‘Wahhabism’ is seen by its proponents as the single, ‘authentic’ and ‘normative’ form of Islam, it has an inherent tendency of expansionism, seeking to impose itself on or replace other ways of understanding and practising Islam. India has been an important target of Saudi ‘Wahhabi’ propaganda. Private as well as semi-official Saudi Arabian assistance has made its way to numerous Indian Muslim individuals and organisations. This paper examines the impact of official and unofficial Saudi assistance to Sunni Muslim groups in India. The establishment of British rule in India had momentous consequences for notions of Muslim and Islamic identity. The widely shared perception of Islam being under threat helped promote a feeling of Muslim unity transcending sectarian and ethnic boundaries. Yet, at the same time, British rule opened up new spaces for intra-Muslim rivalry. It was in this period that serious differences emerged within the broader Sunni Muslim fold, leading to the development of neatly-defined, and, on numerous issues, mutually opposed, sect-like groups, the principal being the Deobandis, the Barelvis and the Ahl-i Hadith. Each of these groups claimed a monopoly of representing the ‘authentic’ Sunni tradition, or the Ahl al- Sunnah wa‘l Jama‘ah, branding rival claimants as aberrant and, in some cases, even as apostates. This brought to the fore the deeply fractured and fiercely contested nature of Sunni ‘orthodoxy’. Believed that they were charged with the divine responsibility of purging popular Muslim practice of what they saw as 'un-Islamic' accretions and borrowings from their Hindu neighbours, regarding these as 'unlawful innovations' (bida'at), and as akin to shirk, the sin of associating anything with God. They insisted that Muslims must go back to the original sources of their faith, the Qur'an and the Hadith, the Traditions of the Prophet, and abandon all beliefs and practices not sanctioned therein. They called for Muslims to abide strictly by the Islamic law (shari'ah) and to abandon 'imitation' (taqlid) of the traditional schools of Islamic jurisprudence (mazhab. pl. mazahib), attempting to refashion the worldwide Muslim community in the mould of the Companions of the Prophet(PBUH). The pioneers of the Ahl-i Hadith saw themselves as struggling to promote what they believed to be the ‘true’ Islam of Muhammad (S) and his companions. Like most other Sunni ‘ulama, they considered the Shi‘as to be outside the pale of Islam, and, therefore, kafirs. In addition, they believed that the other Sunni groups, too, had strayed from the path of the ‘pious predecessors’ (salaf). They argued, through their writings and fatwas, that the Hanafis, the dominant section among the Indian Sunnis, erred in blind conformity (taqlid) of the ‘ulama of the Hanafi school even when their prescriptions went against the express commandments of the Qur’an and the Hadith. They bitterly castigated this as akin to shirk or the sin of ‘associationism’. They fiercely opposed popular customs and beliefs, widely shared among the Indian Muslims, such as Sufism and the cults of the saints, insisting that these had no sanction in the sunnah or the practice of the Prophet, and were, therefore, wrongful innovations or bida‘ah. They decried certain customs widely practised by many Indian Muslims, such as prostrating before graves or praying without uttering the word amin aloud or with the hands folded on the belly instead of on the chest, which they saw as against the practice of the Prophet. They insisted that Muslims must rely solely on the Qur’an and the Hadith for guidance, offering an extremely literalist understanding of these two primary sources of Islamic law. Overall, they saw their mission as rescuing Muslims from what they saw as the sin of shrik and guiding them to the ‘pure monotheism’ (khalis tauhid) of the Prophet and his companions. Most of them were inspired by the example of Mu-hammad bin ‘Abdul Wahhab and his companions, particularly appreciating the ‘Wahhabi’’s criticism of popular custom. Yet, they did not identify themselves as such, refusing the label of ‘Wahhabi’ that their detractors used to dismiss them. 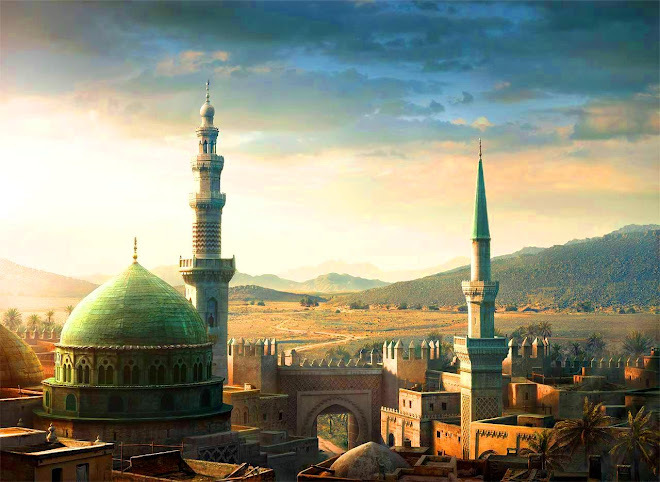 Instead, they insisted that they alone represented the Islam of the Prophet, and that, far from setting up a new sect, they were simply reviving what they believed to be ‘true’ Islam. Hence, they claimed to be muwahhids, or ‘true monotheists’, or Ahl-i Hadith or ‘People of the Tradition of the Prophet’. Despite their differences with the Hanafis, the late nineteenth and early twentieth century Indian Ahl-i Hadith ‘ulama did not go so far as to openly denounce them as infidels, although this seems to have been implied in the writings of some of their scholars who accused their rivals of shirk. On the face of it, they seem to have considered them, in a restricted sense, fellow Muslims, albeit having been allegedly led astray and hence in urgent need of reform. even cooperated with the Deobandi ‘ulama in the formation of the Jami‘at ul-‘Ulama-i Hind (‘The Union of the ‘Ulama of India’), while still bitterly critiquing certain Hanafi practices and beliefs. While most early Ahl-i Hadith ‘ulama admired the efforts of Mu-hammad bin ‘Abdul Wahhab, not all of them agreed entirely with his views. Thus, not all of them approved of his reported claim that Muslims who did not share his beliefs were kafirs and fit to be killed. Some of them also appear to have held certain views commonly attributed to the Ithna ‘Ashari Shi‘as, whom Mu-hammad bin ‘Abdul Wahhab had, in no uncertain terms, branded as apostates. Nazir Ahmad Dehlvi, Siddiq Hasan Khan Bhopali and Daud Ghaznavi, were Sufis in their own right. This, however, was an exception, for the majority of the early Indian Ahl-i Hadith appear to have warmly supported Mu-hammad bin ‘Abdul Wahhab, although this did not mean that some of them did not have differences with him on certain contentious issues. 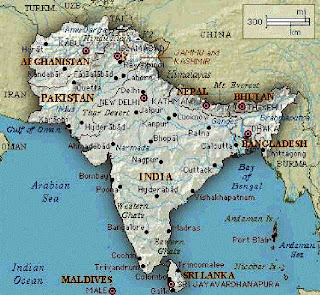 The crystallisation of the Ahl-i Hadith in India as a separate sect (maslak) was a gradual process, given fillip by the setting up of separate mosques and madrasas from the late nineteenth century onwards, which gave the movement the shape of a community separate from the Hanafi majority. This owed, in part, to the fierce opposition that the Ahl-i Hadith encountered from the Hanafis. Many Hanafi ‘ulama saw the Ahl-i Hadith as a hidden front of the ‘Wahhabis’, whom they regarded as ‘enemies’ of Islam for their fierce opposition to the adoration of the Prophet and the saints, their opposition to popular custom and to taqlid, rigid conformity to one or the other of the four generally accepted schools of Sunni jurisprudence. Further, they also saw the Ahl-i Hadith as directly challenging their own claims of representing normative Islam. Numerous Hanafi ‘ulama issued fatwas branding the Al-i Hadith as virtual heretics, contemptuously referring to them as ghair muqallids for their opposition to taqlid, which they believed to be integral to established Sunni tradition. Hanafi opposition to the Ahl-i Hadith was fierce. 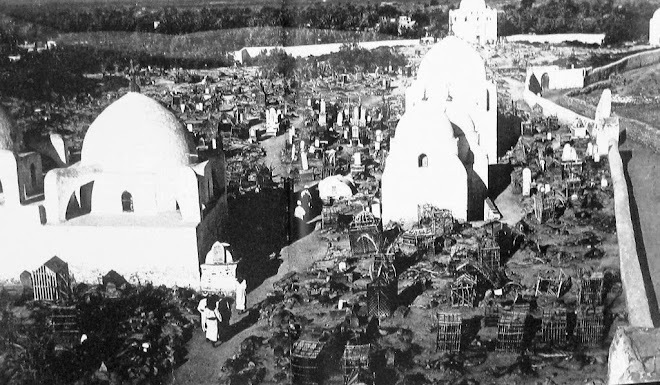 In many places Hanafis refused them admittance to their mosques, schools and graveyards. Marital ties with them were forbidden, and in some places followers of the Ahl-i Hadith even faced physical assault. which brought together ‘ulama from different parts of India who shared a common commitment to the Ahl-i Hadith vision. From then on much scholarly effort was expended by Ahl-i Hadith ‘ulama on seeking to prove rival Muslim groups, Sunni as well as, of course, Shi‘a, as aberrant, stressing points of differences between them and the Ahl-i Hadith in order to argue their own claim of representing the single ‘authentic’ Islamic tradition and to further fortify the notion of a separate Ahl-i Hadith identity. This was reciprocated by their rivals, who took upon themselves the task of fiercely denouncing the Ahl- i Hadith. 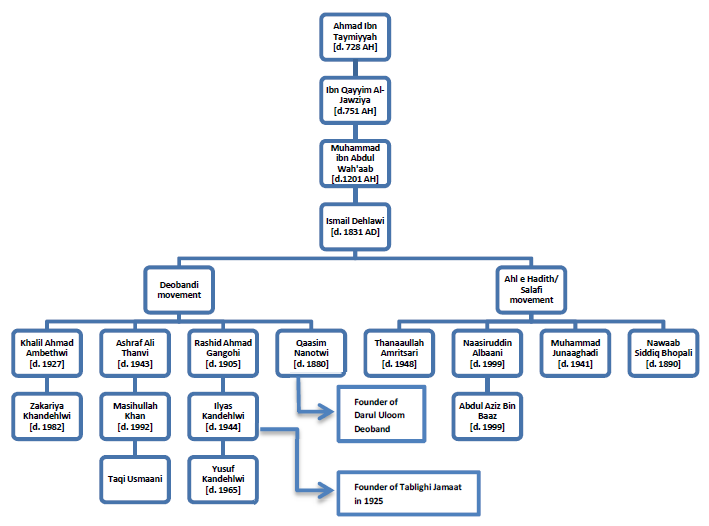 Yet, despite the bitter relations between the Ahl-i Hadith and others the early Ahl-i Hadith ‘ulama did not go so far as to explicitly brand other Sunni groups as apostates. To have done so would have been dangerous, for the Ahl-i Hadith, at that time, as now, formed only a miniscule minority among the Sunnis. 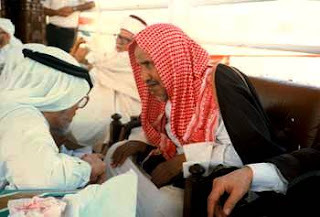 The situation began to change, however, from the 1970s onwards, after access to Saudi funds and links with prestigious Saudi patrons gave numerous Ahl-i Hadith leaders a new aggressive confidence to take on their Hanafi rivals despite their continued minority status among the region’s Muslims. This period also saw a marked transformation in Ahl-i Hadith self-identity. While some pioneers among the Ahl-i Hadith did not conceal their differences with the ‘Wahhabis’ of Saudi Arabia on some points, access to Saudi funds led to a gradual erasure of these differences, so much so that the Ahl-i Hadith came to present itself as a carbon copy of Saudi-style ‘Wahhabism’, with nothing to distinguish itself from it and upholding this form of Islam as normative. As their Muslim critics saw it, this had only a single explanation: It was simply a clever means to win the favour of generous Saudi benefactors. Close links between the Ahl-i Hadith and the Saudi state and ‘Wahhabi’ ‘ulama go back to the early decades of the twentieth century. The early Ahl-i Hadith, although not a complete replica of the Saudi ‘Wahhabis’, did not conceal its support for the Saudi state, which it saw as leading a crusade for what it regarded as a ‘truly’ Islamic polity. When, in the early 1920s, ‘Abdul ‘Aziz bin ‘Abdul Rahman ibn Faisal al-Saud, or Ibn Saud for short, conquered the Hijaz with British help and declared the founding of the second Saudi state, many Muslims in India and elsewhere were incensed, fearing that the fiercely iconoclastic ‘Wahhabis’ would destroy the tomb of Muhammad(S) and other holy sites in Arabia. Predictably, the conquest of the Hijaz led to heightened acrimony between the Ahl-i Hadith and other, including rival Sunni, Muslim groups in India. Indian Hanafi leaders set up an organisation, the Hizb ul-Ahnaf (‘The Hanafi Army’) to oppose the Saudi rulers and the Ahl-i Hadith, who were seen as their agents. which passed a resolution calling for the liberation of the Hijaz from Saudi control and suggesting that Muslims refrain from the pilgrimage to Mecca and Medina till the ‘Wahhabis’ had been overthrown. Massive anti-‘Wahhabi’ demonstrations took place in different parts of India, denouncing the Saudi rulers as ‘anti-Muslim’. At this time, when the Saudi rulers were faced with stiff opposition from many Muslim quarters, the Indian Ahl-i Hadith were quick to rush to their defence. 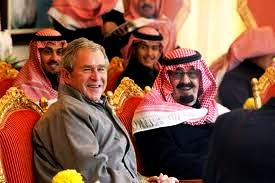 They insisted that the Saudi rulers were ‘genuinely’ Islamic, and hence argued that they must be defended at all costs. In 1927 some Indian Ahl-i Hadith scholars even travelled to Najd to meet Ibn Saud and to attend the Hijaz Conference that he had organised to galvanise worldwide Muslim support for himself. The All-India Ahl-i Hadith Conference organised a number of rallies to galvanise support for Ibn Saud and to oppose his detractors among the Indian Muslims. Numerous leading Ahl-i Hadith scholars also penned tracts and books defending the Saudi ruler and ‘Wahhabism’, claiming that Ibn Saud’s destruction of tombs over graves was fully in accordance with the injunctions of Islam. Echoing the views of many of his fellow Ahl-i Hadith, the founder and president of the All-India Ahl-i Hadith Conference, Muhammad bin Ibrahim Junagadhi (d.1942), in a pamphlet defending Ibn Saud declared that ‘From every angle, religious as well as political, Ibn Saud most well suited to be the servant [ruler] of the Hijaz’. For his part, Ibn Saud dispatched a number of letters to Indian Ahl-i Hadith leaders acknowledging his gratitude for their help and expressing his support for their mission. These letters were later published in several Ahl-i Hadith newspapers. The ties that were cemented between the Indian Ahl-i Hadith and the Saudi state and its official ‘Wahhabi’ ‘ulama in the 1920s were to become even closer in the decades that followed. Saudi funds for Muslim institutions in India have come through a range of sources, including the Saudi state, various Saudi-sponsored Islamic organisations such as the Mecca-based Rabita al-‘Alami al-Islami (World Muslim League) and the Dar ul-‘Ifta wa‘l Da‘wat ul-Irshad, as well as private donors, mostly rich shaikhs, some with close links to the Saudi ruling family. Several Indian Muslims working in Saudi Arabia in various capacities also send back money to fund Islamic institutions, mostly based in towns and villages where their families live. In addition, the Saudi embassy in New Delhi is said to be closely linked to a number of Islamic religious scholars, Muslim journalists and managers of Muslim institutions in the country. 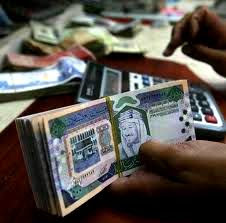 Although this could not be verified, it is claimed that requests for financial aid are often made to the Embassy from these individuals and institutions, and the Embassy, in turn, forwards these requests to the appropriate authorities in Saudi Arabia itself. It is also claimed that a number of newspapers, Muslim-owned as well as others, receive money from Saudi sources to publish articles in support of the Saudi regime. Furthermore, the Saudi authorities are said to pay the salaries of a number of teachers, known as mabuth, employed in various Indian madrasas, almost all of these being graduates of Saudi universities and mostly associated with the Ahl-i Hadith. Monetary assistance to selected Islamic institutions is only one method through which the Saudis have sought to patronise and influence key Muslim leaders and opinion makers in India. Other forms of assistance include sponsored haj pilgrimages for Muslim leaders, including ‘ulama, patronising of selected publishing houses, scholarships for madrasa students to study in Saudi Islamic universities and jobs for such graduates in both the private as well as public sector within Saudi Arabia. The largest beneficiary of this largesse is believed to be the Ahl-i Hadith, although the Jama‘at-i Islami and the Deobandis are also said to have benefited to some extent. This itself suggests that Saudi finance to Muslim institutions in India is intended to serve and promote a particular ideological vision of Islam, one that ties in with the interests of the Saudi regime and its official ‘Wahhabi’ ‘ulama. Saudi Arabia emerged as a significant sponsor of Islamic institutions internationally, including in India, only in the 1970s. This was a period of intense ideological struggle in the Arab world. Arab socialism and pan-Arab nationalism under Nasser in Egypt and the Ba‘athists in Syria and Iraq and various communist parties active in numerous Arab states all called for the overthrow of monarchical regimes in the region, which they saw as lackeys of the United States and as helping the Zionist occupation of Palestine. Within Saudi Arabia itself voices of dissent and protest emerged, including from those who had been influenced by socialist trends elsewhere in the region. Radical appeals emanating from Tehran, including anti-‘Wahhabi’ and anti-Saudi sentiments, soon caught the imagination of Muslims all over the world. A hugely disproportionate amount of Saudi aid to Indian Muslim groups in the decades after the Iranian Revolution is said to have gone to institutions run by the Ahl-i Hadith. This is hardly surprising, given the shared ideological tradition and vision of the Ahl-i Hadith and the Saudi ‘Wahhabis’. One result of the generous Saudi patronage of the Indian Ahl-i Hadith has been that there has been a growing convergence between the latter and the Saudi ‘Wahhabi’ ‘ulama so much so that today there is hardly any difference between the two groups. A revealing indication of the effort on the part of the Indian Ahl-i Hadith to identify themselves with their Saudi patrons, a Deobandi critic writes, is the fact that the Ahl-i Hadith now prefer to refer to themselves as ‘Salafis’, a term that the Saudi ‘Wahhabis’ commonly use for themselves. 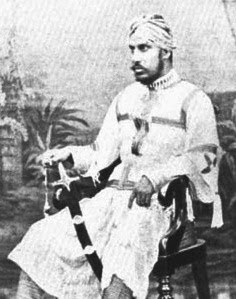 As pointed out earlier, most Indian Ahl-i Hadith scholars in the late nineteenth and early twentieth centuries did hail Mu-hammad bin ‘Abdul Wahhab as a great ‘reformer’ and as a pioneer in reviving ‘true’ Islam and ‘authentic’ monotheism, but, despite this, some of them were critical of his extremism and that of his followers. Today, this sort of criticism is completely absent in Indian Ahl-i Hadith circles, and Indian Ahl-i Hadith ‘ulama now routinely hail the Wahhabi ‘ulama of Najd as representing the only single ‘saved sect’ (firqa al-najiya), and the Saudi regime as the only genuinely ‘Islamic’ regime in the world. Saudi finance to Indian Ahl-i Hadith institutions has heavily influenced the contents of the vast amount of literature that they produce and distribute. In the last two decades there has been a mushroom growth in the number of Ahl-i Hadith publishing houses in India. Several of them are said to receive Saudi funds, directly or otherwise. Many of them produce low-priced books, and, now, audiotapes, videocassettes and compact disks, and some even operate their own websites. Most of the authors whose works they publish are Indian, and to a lesser extent, Pakistani, Ahl-i Hadith ‘ulama whom have received higher education in various Saudi universities. Several of them are presently working in various official as well as private Islamic organisations in Saudi Arabia itself. Their vision and understanding of Islam is indelibly shaped by their own experiences in Saudi Arabia. They see the Saudi ‘Wahhabi’ version of Islam as normative, and other forms of Islam as deviant. 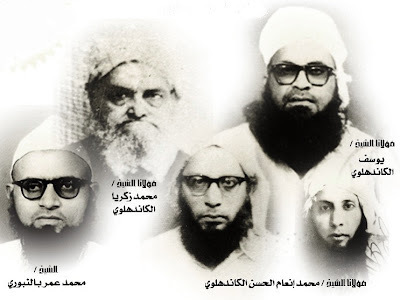 In addition to the works of these writers, Indian Ahl-i Hadith publishing houses are now churning out Urdu and, to a lesser extent, Hindi and English, translations of works, including fatwas, by leading Saudi Wahhabi ‘ulama, the most prominent of whom being the late Shaikh ‘Abdul ‘Aziz bin ‘Abdullah bin Baz (d. 1999), chief mufti of Saudi Arabia, and the late Shaikh Nasiruddin Albani (d. 1999) professor at the Islamic University of Medina. This clearly reflects the understanding that local forms of Islam in India need to be stamped out and replaced by the puritanical, literalist Islam of the Saudi ‘Wahhabis’. Much of the literature produced by Indian Ahl-i Hadith publishing houses focuses on the minutiae of ritual practises and beliefs. This is a reflection, in part, of the overwhelmingly literalist understanding of Saudi ‘Wahhabi’ Islam. Scores of books penned by Ahl-i Hadith ‘ulama are devoted to intricate discussion of what they regard as the ‘correct’ methods of praying, performing ablutions and offering supplications, as well as rules and regulations related to food, dress, marriage, divorce and so on. These and related debates are used to reinforce the claim of the Ahl-i Hadith, as well as the Saudi Wahhabi ‘ulama, being the only group that faithfully abides by the sunnah of the Prophet and to declare all other Muslim groups as deviant. Sometimes, this is taken to the extent of denouncing their rivals as being effectively outside the pale of the Ahl al- Sunnah wa‘l Jama‘ah, and, hence, for all practical purposes, non-Muslims. Another interesting feature of the literature produced by Ahl-i Hadith publishing houses in India, and one that is directly linked to the close association between the Ahl-i Hadith and the Saudi ‘Wahhabis’, is a fierce hostility to local beliefs and practices. This hostility, while having been a defining feature of the early Ahl-i Hadith, has been further exacerbated with the growing Saudi-Ahl-i Hadith nexus. In recent years Ahl-i Hadith scholars have penned scores of books and tracts sternly denouncing customs that many Indian Muslims share with their Hindu neighbours, a legacy of their pre-Islamic past. These also includes customs, such as those associated with popular Sufism and the cults of the saints, which enabled Islam to take root in India and to adjust to the Indian cultural context. As Ahl-i Hadith writers see it, these are all ‘wrongful innovations’, having no sanction in the Prophet’s sunnah, and hence must be rooted out. In their place they advocate an adoption of a range of Arab cultural norms and practices which are seen as genuinely ‘Islamic’. The publication of Urdu translations of the compendia of fatwas of leading Saudi ‘Wahhabi’ ‘ulama by Indian Ahl-i Hadith publishing houses is a reflection of this cultural alternative that they seek to provide to take the place of what they see as ‘un-Islamic’ practices widely prevalent among many Indian Muslims. This has added to the conflict with other Muslim groups, most particularly with the Barelvis, who are associated with the cults of the Sufis. The ‘Saudi Arabisation’ of Islam and Indian Muslim culture that the Ahl-i Hadith seeks to promote also inevitably further widens the cultural chasm between Muslims and Hindus. As many Ahl-i Hadith ‘ulama see it, and this is reflected in their writings as well, Hinduism is hardly different from the pagan religion of the Arabs of the pre-Islamic jahiliya period. Although most of them do not advocate conflict with Hindus, some Ahl-i Hadith scholars insist on the need for Muslims to have as little to do with the Hindus as possible, for fear of the ‘deleterious’ consequences this might have for the Muslims’ own commitment to and practice of Islam. Like other Muslim groups, Indian Ahl-i Hadith publishing houses have also paid particular attention to combating their Muslim rivals. This, as shall be later argued, cannot be understood without taking into account the Saudi connection. Scores of books have been penned by Indian Ahl-i Hadith ‘ulama, branding Sufis, Shi‘as and Deobandis as heretical . Sometimes, this charge is stated openly. On other occasions it is articulated indirectly, but in a manner that the reader is driven to the conclusion that other groups who claim to be Sunni are not genuinely so or might not be even Muslim at all. This concern to combat other Muslim groups has been particularly exacerbated as a result of links established with Saudi patrons. This campaign is led by high profile Indian and Pakistani Ahl-i Hadith scholars, who have generally trained in Saudi universities or are based in Islamic institutions in Saudi Arabia itself. Heated polemical attacks on other Muslim groups are a means for them to stress the separate identity of the Ahl-i Hadith and to press its claim of representing ‘authentic’ Islam. It also provides them with positions of authority as spokesmen of ‘true’ Islam. Moderates among the Ahl-i Hadith do exist, who seek to lessen tensions with other Muslim groups, but they seem to be relatively powerless in the face of leaders who have access to Saudi funds and have a vested interest in stressing and reinforcing differences with other Muslim communities. Tirelessly claiming in their writings to being the sole representatives of ‘normative’ Islam and, in the process, identifying themselves with the Saudi ‘Wahhabi’ ‘ulama, enables the Indian Ahl-i Hadith ‘ulama to present themselves as faithful allies of the Saudis, which, in turn, helps earn for them recognition as well as monetary assistance from Saudi sponsors. In addition, such publications also serve the purpose of presenting the Saudi ‘Wahhabi’ version of Islam as normative, and in putting forward the claim of the Saudi regime being the only one in the world sincerely and seriously committed to ‘genuine’ Islam. 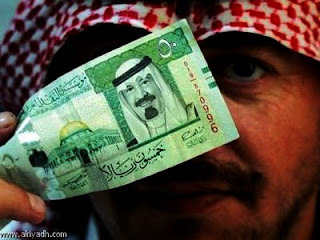 Access to Saudi funds has, therefore, led to heightened conflict between various Muslim sectarian groups in India, as Ahl-i Hadith publishing houses produce and distribute literature on a large scale bitterly attacking their rivals of being Muslim only in name. While earlier Ahl-i Hadith scholars did critique other Muslim groups, this criticism was relatively mild and did not go to the extent of denouncing fellow Sunnis as apostates. This was probably a tactical move, for the Ahl-i Hadith were a small and beleaguered minority. Now, however, access to new patrons and sources of funds has provided the Ahl-i Hadith with an aggressive confidence to denounce their Muslim rivals, going even beyond the somewhat limited critique of their predecessors. According to Mohammed Zeyaul Haque, an Indian Muslim journalist, while earlier Ahl-i Hadith criticism of Hanafi practices was limited largely to ‘matters of insignificant detail’, such as ‘proper’ ritual practices during prayers, the method of divorce and so on, of late ‘a vicious campaign of slander’ has been launched by ‘mischief-makers sitting in countries of the Middle East’ (by which he seems to refer to Indian Ahl-i Hadith scholars based in Saudi Arabia) carefully ‘targeting Hanafis of all kinds, and going to the extent of denouncing them as kafirs’. Among their targets have been the widely respected and Hanafi-dominated All-India Muslim Personal Law Board and the leaders of the Deobandi-related Tablighi Jama‘at, the largest Islamic movement in the world, which has its global headquarters in India. Haque claims that recently a number of books, originating from South Asian Ahl-i Hadith scholars based in the Middle East and fiercely denouncing the Hanafis (besides the Shi‘as) as disbelievers, have ‘flooded the subcontinent’. Heightened intra-Muslim polemics within India are not unrelated to the interests of the Saudi regime. Thus, the virulently anti-Shi‘a and anti-Sufi propaganda material churned out by various Ahl-i Hadith publishing houses in India, some of this said to be sponsored by Saudi patrons, serves the purpose of denouncing as outside the pale of Islam Muslim groups who are opposed to ‘Wahhabism’ and the Saudi state, these often being branded as ‘enemies’ of Islam. In this way the literature produced by several Ahl-i Hadith publishing houses in India helps promote a version and vision of Islam that is almost identical to that of the ‘Wahhabis’ of Saudi Arabia, and hence one that fits in with the interests of both the Saudi Wahhabi ‘ulama as well as the Saudi state. This function is served more directly through forms of literature that raise political, as opposed to simply theological, issues. As mentioned earlier, the Islamic Revolution in Iran in 1979 appeared to the Saudi regime as a major threat to its own survival as its claims for championing Islam were dismissed as hypocritical. Consequently, some Indian Ahl-i Hadith (as well as Deobandi) ‘ulama penned tracts and books—paid for this by Saudi patrons, their critics allege—to brand the Revolution as a Shi‘a, and, therefore, ‘anti-Islamic’, insurrection, Khomeini as an ‘enemy of Islam’, and the Shi‘a faith as a ‘Jewish conspiracy’ to destroy Islam from within. Predictably, the Revolution was painted in the lurid colours. It was explained simply as an ‘anti-Islamic’ conspiracy hatched by the Shi‘a ‘ulama in order to export Shi‘ism and establish Shi‘a political rule over the Sunnis. In this way, the appeal of the Revolution, its anti-monarchical thrust and its bitter critique of Western imperialism that had led to considerable support for Khomeini among many Sunnis, including in India, was sought to be countered. The attack on the Revolution was deliberately couched in an ‘Islamic’ form in order to dismiss the Khomeini’s legitimacy. This also served as a means to defend the Saudi regime in ‘Islamic’ terms, it being routinely described in Ahl-i Hadith literature as the only ‘truly’ Islamic regime in the world. 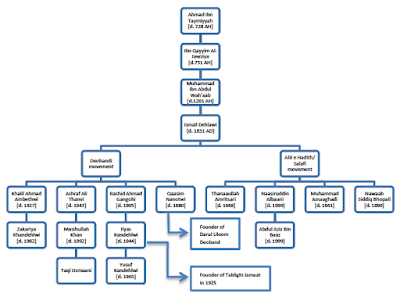 This claim of the Saudi monarchy as representing the sole ‘authentic’ Islamic regime in the world is repeatedly stressed in several Ahl-i Hadith writings, and reflects the close links, ideological as well as financial, between several Indian Ahl-i Hadith leaders and the Saudi state and its official ‘Wahhabi’ ‘ulama. Numerous books penned by Indian Ahl-i Hadith scholars discuss in detail the ‘great’ contributions of the present rulers of Saudi Arabia to the ‘Islamic cause’, inevitably concluding with the claim that Saudi Arabia under its present masters represents the only ‘truly’ Islamic state in the world today. They also make it a point to call on God to bless the Saudi king and pray for his continued rule. The Saudi monarch is invariably presented as a pious, fully committed Muslim, whose sole concern is, so it is sought to be argued, the protection and promotion of ‘authentic’ Islam. Support for this ‘authentic’ Islam and for the Saudi rulers are presented as indivisible. Interestingly, there is no reference at all in Ahl-i Hadith writings to the widespread dissatisfaction within Saudi Arabia itself with the ruling family. Nor is there any reference to the rampant corruption in the country, the lavish lifestyles of the princes, and to Saudi Arabia’s close links with the United States. Nor, still, is there ever any mention of the claim, put forward by many Muslims, that monarchy is ‘un-Islamic’, particularly one like the despotic and corrupt Saudi regime. This is added evidence of the fact that Saudi-sponsored propaganda abroad is tailor-made to suit the interests of its ruling family. A case in point is a book financed by a Saudi professor, published by the apex Ahl-i Hadith madrasa in India and authored by an Indian Ahl-i Hadith writer based in Saudi Arabia, ‘Abul Mukarram ‘Abdul Jalil. The author insists that because the message of Mu-hammad bin ‘Abdul Wahhab is based on ‘true’ (sahih) Islamic beliefs, every Muslim must accept and follow it. At the same time, because the present Saudi regime, allegedly, continues to follow faithfully in the footsteps of Mu-hammad bin ‘Abdul Wahhab, it is, the author writes, imperative on all Muslims to support the Saudi rulers. A particularly interesting text in this regard is a recent Urdu translation of a voluminous book, running into almost 400 pages, penned by a Saudi scholar devoted to extolling the praises of the Saudi regime for what its title refers to as its impressive ‘Islamic missionary and educational services’. The author of the book, Saleh bin Ghanim al-Sadlan, is a professor at the Jami‘a Imam Mu-hammad bin Saud University, Riyadh, and is associated with a number official Saudi Islamic organisations and institutions. The book is an expanded version of a paper presented by the author at a conference organised by the Department of Religious Affairs and Endowments, Riyadh. The book provides details of various Islamic organisations set up and funded by the Saudi regime, both inside as well as outside the Kingdom. These institutions, so its author claims, are engaged in what he calls ‘amazing’ contributions to the cause of Islam, ‘providing peace and satisfaction to the hearts and minds of the followers of Islam’. All these efforts are said to be a reflection of the commitment of the Saudi rulers to the Islamic cause. As al-Sadlan tells his readers, this shows that ‘In this period of the decline of the Muslims the existence of Saudi Arabia is a great blessing for the Islamic world’. Predictably, there is no mention at all about Saudi Arabia’s key role in the Western-dominated global capitalist economy, and of its close financial and political relations with the United States and other Western imperialist powers. For his part, the Saudi king is described by al-Sadlan as the ‘Custodian of the Two Holy Cities’ (khadim al-harimayn al-sharifayn), and is portrayed as having been appointed by God Himself to serve the cause of Islam. He is described as performing this onerous responsibility with diligence and fervour. He is said to have ‘full faith in the fact that his government must work for the prosperity of Islam’. He is said to ‘firmly believe in the supremacy of the Qur’an and the sunnah’, and is quoted as declaring that ‘The Constitution of the Kingdom of Saudi Arabia is the Qur’an itself, which falsehood cannot touch, from front or from behind’. Central to ‘Wahhabism’ is the understanding that it alone represents ‘normative’ Islam, and that other understandings of the faith are, by definition, ‘false’. One might argue that the ‘Wahhabis’ are not unique in this, and that, in fact, all Muslim sectarian groups do share this conviction. While that may well be true, ‘Wahhabi’ attitudes towards other Muslim groups have historically been characterised by a fierce extremism quite unparalleled in the case of other contemporary Muslim sects. This is another feature that Saudi-style ‘Wahhabism’ shares with the Ahl-i Hadith. As a claimant to Sunni ‘orthodoxy’, the Ahl-i Hadith is not alone in denouncing the Shi‘as as heretics, and, therefore, outside the pale of Islam. In fact, many Deobandi and Barelvi ‘ulama share the same opinion. Hence, the virulent opposition to the Shi‘as on the part of the Ahl-i Hadith is hardly surprising. Given its commitment to what it sees as ‘pure’ monotheism and its fierce opposition to ‘wrongful innovations’, its denunciation of the Barelvis, who are associated with the cults of the Sufis, is also understandable. What seems particularly intriguing, however, is the fact that, of late, Ahl-i Hadith publishing houses in India have been devoting particular attention to denouncing the Deobandis, who, while being muqallids as well as proponents of a reformed Sufism, share with the Ahl-i Hadith a commitment to strict compliance with the shari‘ah and the extirpation of what they describe as bida‘ah. In that sense, the Ahl-i Hadith are closer in doctrinal terms to the Deobandis than to any other Indian Sunni group. Despite this, it appears that in recent years Indian Ahl-i Hadith scholars have been focussing considerably more attention to combating the Deobandis than to critiquing their Barelvi and Shi‘a rivals. This seemingly puzzling development begs an explanation. One possible reason for this is that the Deobandis in India are far more organised and influential than the Barelvis. The Deobandis manage a number of influential organisations, madrasas and publishing houses all over India. Consequently, they have probably been more effective in critiquing the Ahl-i Hadith than their other rivals, which, in turn, has forced the Ahl-i Hadith to pay particular attention to the challenge they face from the Deobandi front. In addition to this factor are other developments, related to struggles over money, influence and authority, which have made for a sharp intensification of rivalries between the Ahl-i Hadith and the Deobandis in recent years. The Saudi connection seems to have played a major role in abetting these conflicts. Relations between the Ahl-i Hadith and the Deobandis in India have, since their inception, been strained. Seeing the Ahl-i Hadith as a potent challenge to their own authority, early Deobandi ‘ulama bitterly critiqued and denounced them. Some even wrote boldly against Mu-hammad bin ‘Abdul Wahhab, arguing that his movement had nothing at all to do with Islam. He wrote that Mu-hammad bin ‘Abdul Wahhab had declared the wealth of all Muslims, including Sunnis, who did not follow him as property that could be rightfully looted (mal-i ghanimat), and their slaughter as a cause of merit (sawab), considering all but his own followers as apostates. This is why, he claimed, the Arabs ‘detested’ Mu-hammad bin ‘Abdul Wahhab and his followers, their hatred for them ‘exceeding their hatred for Jews, Christians, Magians and Hindus’. Other Deobandis seem to have displayed similar views on the Saudi ‘Wahhabis’, although there were exceptions. A leading Deobandi scholar, Anwar Shah Kashmiri, insisted that Mu-hammad bin ‘Abdul Wahhab was ‘stupid’ (bewaquf) and had ‘little knowledge’ (kam ‘ilm), because of which he was ‘quick to declare other Muslims as kafirs’. the ‘Wahhabis’ beliefs were ‘good’ (‘umdah) and that they were‘good’ people, although he added that Mu-hammad bin ‘Abdul Wahhab’s views were ‘extreme’ (shiddat) and that when his followers transcended the ‘limits’ it lead to considerable strife(fasad). Gangohi’s views were contradicted by some of his own students. Thus, Khalil Ahmad Saharanpuri considered the ‘Wahhabis’ as deviant, and claimed, referring to Mu-hammad bin ‘Abdul Wahhab, that ‘neither he nor any of his followers and clan are among our teachers in any of our chains of transmission in Islamic knowledge, whether in jurisprudence, Hadith, Qur’anic commentary or Sufism’. The opposition of the early Deobandis to the Ahl-i Hadith and to the Saudi ‘Wahhabis’ stemmed, in part, from the ‘Wahhabi’ critique of rigid taqlid and Sufism, which the Deobandis upheld but which the ‘Wahhabis’ branded as heretical. Deobandi opposition to the ‘Wahhabi label might also have been motivated, in large measure, by fear of British reprisal. ‘Wahhabis’, as the British Indian authorities saw them, were Muslim groups who sought to challenge colonial rule, and who were, therefore, regarded as deadly enemies of the Raj. Furthermore, it appears that Deobandi efforts to clearly distance themselves from the ‘Wahhabis’ had also to do with Deobandi-Barelvi rivalries. Thus, for instance, Husain Ahmad Madani undertook to write his al-Shahab al-Shaqab against the ‘Wahhabis’ as a response to a book, Husam al-Harmayn, written by Ahmad Raza Khan, leader of the Barelvis. In his book Khan culled out statements from the writings of numerous Deobandi elders which ‘proved’, so he argued, that the Deobandis were ‘Wahhabis’ and, therefore, kafirs, adding that those who doubted their being kafirs were kafirs themselves. In order to gain support for his stand he travelled to the Hijaz and had his claims against the Deobandis endorsed by several anti-‘Wahhabi’ ‘ulama of Mecca and Medina, whose statements he reproduced in his book. Madani, it is said, was forced to pen his polemical tract, wherein he claimed that the Deobandis had nothing at all to do with the ‘Wahhabis’ at all, effectively declaring Mu-hammad bin ‘Abdul Wahhab Najdi and his followers as outside the Sunni fold. Although several early Deobandi leaders sought to distance themselves from the Saudi ‘Wahhabis’, on the whole a distinct ambiguity seems to have characterised their response to the charge of being ‘Wahhabis’ themselves. This owed to the ambiguity of the term ‘Wahhabi’ as it was commonly understood and used in India. While the Deobandis were careful to insist that they were not ‘Wahhabis’ in the sense of being followers of Mu-hammad bin ‘Abdul Wahhab Najdi, some Deobandis, recognising the commitment that they shared with the Saudi ‘Wahhabis’ to the extirpation of what they regarded as bida‘ah, accepted the label ‘Wahhabi’ in that limited sense. Thus, for instance, Muhammad Zakariya, chief ideologue of the Deobandi-related Tablighi Jama‘at, is said to have proudly announced before his followers, ‘I am a more staunch Wahhabi than all of you’. Likewise, Yusuf Kandhalavi, son and successor of the founder of the Tablighi Jama‘at, Ilyas Kandhalavi, declared, ‘We are staunch Wahhabis’. Given the shared vision, albeit limited in extent, of the Saudi ‘Wahhabis’ and the Deobandis, it was possible for the two groups to seek to work together for common purposes. Thus, Ilyas Kandhalavi and a group of his followers met the Saudi ruler in 1938, and discussed with him and the Saudi ‘Wahhabi’ ‘ulama plans for allowing the Tablighi Jama‘at to function in the country. Yet, although it is claimed that the Saudi monarch and several of his ‘ulama welcomed the prospect, the movement was not allowed to establish a presence in Saudi Arabia. The situation remains the same today. It appears that the fact that the movement’s Deobandi links were a major cause for concern on the part of numerous Saudi ‘Wahhabi’ ‘ulama, who regarded the Deobandi tradition as bida‘ah and as promoting shirk. Further, it might also be that the Saudi authorities viewed with concern the possibility of any independent, particularly foreign-based, Islamic movement, such as the Tablighi Jama‘at, being active in their own country, fearing that it might work to undermine their own legitimacy. The Deobandis, by and large, seem to have maintained the somewhat ambiguous attitude of their elders towards the Ahl-i Hadith and the ‘Wahhabis’ till at least the late 1970s, when the situation began to change with new access to Saudi funding. In the course of the Afghan war against the Soviets the Saudis recognised that the Deobandis were far more influential and had a far larger presence than the Ahl-i Hadith, in both Pakistan as well as Afghanistan. Consequently, much Saudi funding began making its way to Deobandi madrasas in Pakistan in order to train guerrilla fighters armed with a passion for jihad against the Russians. A shared commitment to a shari‘ah-centric Islam made such assistance acceptable to both parties. The Pakistani Deobandis were, on the whole, not reluctant to accept such assistance, despite the views of their own elders about the ‘Wahhabis’. Over time, in India, too, several Deobandi ‘ulama are said to have begun receiving Saudi aid, in some form or the other, for their madrasas and other religious institutions. It is said that several Deobandi leaders sort to court prospective Saudi patrons by claiming to be fellow defenders of ‘authentic’ monotheism, adducing their fierce and unremitting critiques of the Barelvis as evidence. Naturally, the newly established links with Saudi patrons forced them to reconsider their own position on ‘Wahhabism’ and the Saudi state. ^The timing of the publication was significant. It came at a time when the Deobandis, in both India and Pakistan, were increasingly turning to Saudi patrons, following the Soviet invasion of Afghanistan. This necessitated a thorough revision of the Deobandi understanding and presentation of Saudi ‘Wahhabism’ and of its founder. As earlier pointed out, several Deobandi elders had bitterly critiqued Muhammad bin ‘Abdul Wahhab, going so far as to declare him, for all practical terms, as ‘anti-Muslim’. Now, however, the increasingly close relations between certain Deobandis and Saudi patrons called for both an apology and an explanation for the bitter critique of the founding-father of ‘Wahhabism’ by the elders of Deoband. This is precisely what this book set out to do. was one of the leading Indian Deobandi ‘ulama, having served as member of the governing council (majlis-i shur‘a) of the Deoband madrasa for many years. He had dozens of books to his credit and was the founder and editor of the widely circulated Urdu magazine al-Furqan. A fiercely committed Deobandi, he wrote extensively against the Barelvis and the Shi‘as and in defence of Deobandi doctrines. the late Qari Muhammad Tayyeb,who, he wrote, had repeatedly requested him to write a full-fledged book to bridge the gulf and remove the ‘misunderstandings’ between the Deobandis and the followers of Muhammad bin ‘Abdul Wahhab, both of whom he is said to have regarded as ‘servants of the faith’ and as ‘upholders of monotheism and the sunnah’. The book appears to have received the official approval of several leading Deobandi ‘ulama, concerned as they were about improving relations with the Saudis, including, probably, prospective Saudi patrons. In fact, in the concluding section Nu‘mani explicitly stated that the book laid out the position of the ‘ulama of Deoband. He backed this claim by including the testimonies of two leading Deobandi ‘ulama, the late Muhammad Zakariya Kandhalavi, chief ideologue of the Deobandi-related Tablighi Jama‘at movement, and Qari Muhammad Tayyeb. Zakariya’s statement declared the book to be ‘very good’. For his part, Tayyeb heaped praises on the book, and claimed that it finally ‘proved’ that there is actually no ‘difference of principle’ (‘usuli ikhtilaf) between the Deobandis and the ‘Wahhabis’, and that ‘to a very great extent they ‘are united’. He also advised that the book be translated into Arabic as soon as possible. The book was later rendered into Arabic in order to convince Arab readers, including possible patrons, that the Deobandis were not opposed to Mu-hammad bin ‘Abdul Wahhab and his followers.Nu‘mani begins his book by claiming that because of the wave of virulent propaganda unleashed by the ‘religious and political enemies’ of Mu-hammad bin ‘Abdul Wahhab, numerous ‘true ‘ulama’ (‘ulama-i haq) (by which Nu‘mani probably means the ‘ulama of Deoband) unwittingly opposed his message. He stresses the point that the Deobandi elders were not alone in this. Numerous Indian Ahl-i Hadith leaders, he points out, also shared the same opinion, and one of them, Siddiq Hasan Khan, even penned a tract condemning him. He seeks to suggest that the initial opposition to Muhammad bin ‘Abdul Wahhab on the part of some Deobandi elders might have stemmed, in part, from the influence of Khan’s writings. This point is crucial, for it enables him to counter the Ahl-i Hadith claim of always and unanimously having being supportive of Muhammad bin ‘Abdul Wahhab and his mission, an argument which the Ahl-i Hadith generally use in order to gain Saudi support. He then hastens to add that when the ‘truth’ of Muhammad bin ‘Abdul Wahhab’s mission and message dawned on them the Deobandi elders did not hesitate to retract their statements against him and to express support for him and his mission. Nu‘mani takes, as a case in point, the views of the rector of the Deoband madrasa, Husain Ahmad Madani, who, as noted earlier, penned a book bitterly attacking Mu-hammad bin ‘Abdul Wahhab. As a child, Nu‘mani writes, Madani was brought up to understand that Muhammad bin ‘Abdul Wahhab and the ‘Wahhabis’ generally were fierce ‘enemies’ of Islam. This was, he says, a result of a massive propaganda campaign conducted in India and elsewhere against the ‘Wahhabis’ by their ‘enemies’, who regarded the ‘Wahhabi’ movement as a major challenge to their own authority and privileges as custodians of Sufi shrines. Nu‘mani probably makes this point deliberately to stress the Barelvi opposition to ‘Wahhabism’ and to deny any Deobandi involvement in the matter. Because in his early years Madani did not have access to the ‘truth’ about the ‘Wahhabis’, and because of the influence of the anti-‘Wahhabi’ campaign, Madani, Nu‘mani admits, did write against Muhammad bin ‘Abdul Wahhab. In 1910 he penned a tract, al-Shahab al-Shaqib, fiercely denouncing him and his followers. However, later on, when he read the books of Mu-hammad bin ‘Abdul Wahhab for himself, he is said to have realised that his message was actually one of ‘pure’ monotheism and a bitter, and, therefore, legitimate, critique of bida‘ah. After this apparent change of views, he is said to have heaped praises on Mu-hammad bin ‘Abdul Wahhab for ‘launching a jihad against those who bow before graves, ask the dead for help, construct domes over graves and engage in other such polytheistic practices’. The reference here is to groups like the Barelvi opponents of the Deobandis. The point is probably deliberately made in order to stress the common commitment of both the Deobandis and the Saudi ‘Wahhabis’ to the extirpation of what they regard as bida‘ah. In order to argue the case for a radical change in Madani’s views about ‘Wahhabism’ Nu‘mani argues that after recognising the ‘reality’ and alleged legitimacy of ‘Wahhabism’ Madani worked closely with several ‘Wahhabi’ ‘ulama, particularly in the governing council of the Saudi-based World Muslim League, of which he was appointed a member in 1965. His involvement in the work of the League is said to have brought him in close touch with two prominent Saudi ‘Wahhabi’ scholars, Shaikh ‘Abdul ‘Aziz bin ‘Abdullah bin Baz, chief mufti of Saudi Arabia, and Shaikh ‘Abdullah bin Humid, a senior official Saudi religious leader. After struggling to defend his Deobandi elders from the charge of being anti-‘Wahhabi’, Nu‘mani shifts to discussing the present Saudi regime and the question of its ‘Islamic’ legitimacy. Since the underlying aim of his book seems to be to ‘prove’ the similarities between the Deobandism and ‘Wahhabism’ and to encourage greater cooperation between the Deobandis and the Saudis, it is hardly surprising that Nu‘mani presents the Saudi regime in glowing terms. Thus, he proclaims that the Saudi state is based on ‘Islam, obedience of the shari‘ah and the sunnah’, and is the ‘true heir’ of the ‘pure Islamic state’ established by Ibn Saud. He even goes so far as to declare that, as far as he is aware, Saudi Arabia is the only state in the world that is governed strictly according to the prescriptions of the Qur’an and the sunnah. In support of this claim he cites the fact that in Saudi Arabia thieves are punished with their hands being chopped off, unmarried adulteresses are whipped and male adulterers are stoned to death, all in accordance with Islamic law. Added evidence for this assertion is the alleged piety of Saudi Arabia’s rulers. Nu‘mani describes the Saudi king as a model Muslim monarch. The Saudi ruler is, he says, ‘praise be to God, strictly observant of the fasts, prayers and religious duties’, and insists that his subjects follow in the same path. Nu‘mani’s presentation of the ‘Wahhabi’ doctrine and the Saudi state appears to have been carefully calculated to minimise points of difference between ‘Wahhabism’ and the Deobandi understanding of Islam and to focus only on issues on which they are agreed, in order to argue that there were no fundamental differences between the two, particularly on the question of ‘pure monotheism’ and opposition to bida‘ah. Thus, the fact that, in contrast to the ‘Wahhabis’, the Deobandis believe in the legitimacy of Sufism, although of a shari‘ah-minded sort, and that they insist on the need for taqlid of one of the four generally accepted schools of Sunni jurisprudence, was conveniently ignored. This can be said to be a reflection of a growing ‘Wahhabisation’ of Deobandism under Arab influence. This explanation is only partially valid, however. It appears that Nu‘mani was, in fact, deliberately seeking to conceal the major differences between the Deobandis and the Saudi ‘Wahhabis’. Critics accused Nu‘mani of doing so simply in order to win the favour of prospective Arab donors. This charge was levelled by several Ahl-i Hadith scholars, probably angered at the prospect of growing links between their Deobandi rivals and patrons in Saudi Arabia. Nu‘mani’s book was met with a swift rebuttal by numerous Ahl-i Hadith scholars, who accused him of deliberately distorting the reality of Husain Ahmad Madani’s views, and that of the Deobandis generally, on Muhammad bin ‘Abdul Wahhab in order to win Saudi support. Safi ur-Rahman Mubarakpuri, a leading Indian Ahl-i Hadith ‘alim, quoted at length from Madani’s al-Shahab al-Shaqib, pointing out that Madani had fiercely condemned Mu-hammad bin ‘Abdul Wahhab, reserving the choicest epithets for him. Developing this argument further, Faizi (Mahfuz ur-Rahman Faizi) claimed that Nu‘mani had unfairly accused certain pioneers of the Ahl-i Hadith in India, most notably Siddiq Hasan Khan, of having been opposed to Mu-hammad bin ‘Abdul Wahhab. He had gone so far as to ‘wrongly’ claim that Madani’s initial opposition to Mu-hammad bin ‘Abdul Wahhab owed to the influence of Khan’s (Imam Ahmad Raza Khan) alleged anti-‘Wahhabi’ writings. Faizi stoutly defended Khan (Imam Ahmad Raza Khan) from the charge of having been opposed to Mu-hammad bin ‘Abdul Wahhab. He quoted profusely from Khan’s various writings to show that he considered Mu-hammad bin ‘Abdul Wahhab to have been a true Sunni and a staunch and passionate defender of the Qur’an and the sunnah. He admitted that in some ‘minor’ matters Khan and certain other earlier Ahl-i Hadith had differences with the ‘Wahhabis’ but this did not mean, he said, that, as Nu‘mani had tried to argue, they were opposed to them. Nu‘mani had, he claimed, deliberately ignored the praise that Khan and other early Indian Ahl-i Hadith scholars had showered on Mu-hammad bin ‘Abdul Wahhab in order to ‘prove’ that the early Deobandis were not alone in opposing him, and that, like them, some Ahl-i Hadith ‘ulama had also expressed their hostility towards his movement. If Madani had been influenced by the alleged writings of Khan against the ‘Wahhabis’, how was it, Faizi asked, that he had completely ignored Khan’s other writings that portrayed them in glowing terms? This itself ‘proved’, Faizi insisted, that Madani’s opposition to the ‘Wahhabis’ was not a result of the influence of Khan’s writings.Faizi also dismissed Nu‘mani’s argument that Madani was simply an innocent victim of the massive anti-‘Wahhabi’ propaganda that the ‘enemies’ of Mu-hammad bin ‘Abdul Wahhab had unleashed. He pointed out that Madani had spent more than a dozen years in the Hijaz, where he could have gained a ‘true’ understanding of ‘Wahhabism’ if he had cared to. Further, at the time of writing his book against Mu-hammad bin ‘Abdul Wahhab, a considerable deal of pro-‘Wahhabi’ literature, purporting to present a ‘true’ image of the movement, was available in India and Arabia, in both Urdu and Arabic. Given this, how was it, Faizi asked, that Madani did not care to consult these ‘authentic’ sources while writing his book? The fact that Madani did not refer to these books itself showed that he was not simply an innocent victim of anti-‘Wahhabi’ propaganda, contrary to what Nu‘mani had claimed, Faizi insisted.Nu‘mani’s claim that Madani later retracted his anti-‘Wahhabi’ views was also dismissed by Faizi, who argued that his note disclaiming his earlier stance was published in the columns of an anti-Deobandi newspaper, and was not widely known among the Deobandis themselves. al-Shahab al-Shaqib, which, he claimed, continued to be published un-amended? Faizi quoted from Madani’s autobiography, published almost three decades after he wrote al-Shahab al-Shaqib, where he is said to have repeated the same charges against the ‘Wahhabis’ that he made in his earlier work, branding them as ‘extremists’ (sakht ghali), and as having given ‘immense trouble’ to their opponents, because of which, Madani wrote, ‘the people of Mecca and Medina hate them and the Hijazis detest Wahhabism more than Christianity and Judaism’. In his autobiography Madani also allegedly charged the ‘Wahhabis’ with ‘blasphemy’ (gustakhana kalimat) against the Prophet(PBUH), and claimed that the Deobandis had ‘not even the remotest relations’ with ‘Wahhabi beliefs’. 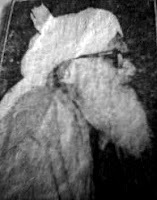 The controversy that erupted in the 1980s over Nu’mani’s book illustrated the fact that Saudi assistance to selected Deobandi ‘ulama and their schools in India and Pakistan was seen by Ahl-i Hadith scholars and leaders as a major challenge, fearing, critics claim, that this would mean a diminution in their own earnings from generous Arab patrons. This, at least, is how several Deobandis explain the fierce diatribe mounted by some Ahl-i Hadith scholars against them in recent years. In addition to this, Saudi pressure is said to have been behind the escalation of Ahl-i Hadith polemical attacks on the Deobandis. Thus, a leading Indian Barelvi scholar, Yasin Akhtar Misbahi, writes that although some early Deobandis were vehemently opposed to Mu-hammad bin ‘Abdul Wahhab and his movement, later, in order to ingratiate themselves with oil-rich Saudis, the Deobandis sought to come closer to the ‘Wahhabis’ and even to identify with them. This, he says, continued till 1991, that is till the outbreak of the first Gulf War, when the Saudis, fearing an Iraqi invasion, called in American troops and allowed them to be stationed in the country. ‘Not a single Muslim’ in India and Pakistan, Misbahi writes, approved of this step, not even the Deobandis who had earlier received considerable financial assistance from the Saudis. ad-Deobandiyah, penned by a certain Sayyed Talib ur-Rahman, a Pakistani Ahl-i Hadith scholar based in Saudi Arabia who is said to work for an official Saudi Islamic organisation. The book was published by a Pakistani Ahl-i Hadith institution, the Dar ul-Kitab wa‘l Sunnah in Karachi, and, a critic alleges, was ‘delivered, in a well planned manner, to the shaikhs of the Hijaz and Najd and to [Saudi] government offices’. Probably deliberately, the book was written in Arabic and widely distributed in Saudi Arabia itself, in order to turn Saudi opinion, including that of the Saudi state and rich Saudi patrons, against the Deobandis. Shortly after the publication of ad-Deobandiyah, a series of similar books, making somewhat the same sort of arguments, began to appear in Arabic and Urdu in India and Pakistan, as well as in Saudi Arabia itself. Several of these, it is alleged, were sponsored, directly or otherwise, by rich Saudi patrons. Most of them were authored by Indian and Pakistani Ahl-i Hadith scholars, although a few were penned by Saudi shaikhs. One such book, published in both Arabic and Urdu by the Riyadh-based Maktab al-Ta‘wuni al-Da‘wah wa’l-Irshad, and distributed in large quantities to Muslim pilgrims during the Haj season, allegedly declared the Deobandis to be effectively outside the Sunni fold, and, hence, implicitly, outside the pale of Islam itself. A second book, written in Arabic by a Saudi mufti, Shaikh Hamud bin ‘Abdullah, referred to the Deobandis and the Tablighi Jama‘at as ‘wrongful innovators’ (bida‘ati) and as having ‘gone astray’ (gumrah) and even as being a ‘Satanic sect’ (shaitani jama‘at). A third book, published in 2001, bore the provocative title of ‘Are the ‘Ulama of Deoband Sunnis?’. The Deobandis, he claimed, like their fellow Hanafi Barelvis, follow various Sufi practices and enrol in different Sufi orders, whereas this was unknown at the time of the Prophet. Unlike Muhammad’s companions, the Deobandis, as well as the Barelvis, believe that the Prophet is still alive. Mazhab-i Hanafi Ka Mazhab-i Islam Se Ikhtliaf (‘the Opposition of the Hanafi Religion to the Religion of Islam’),thus clearly announcing the author’s conviction that the Hanafis, including both Deobandis as well as Barelvis, were not Muslims at all. The book went on to declare in no uncertain terms that the ‘Hanafi religion’ had no relation whatsoever with Islam, which, the author argued, was synonymous with the Ahl-i Hadith. The ‘Hanafi religion’, he argued, was ‘totally opposed to Islam’ and ‘fully against the Qur’an and the Hadith’, and was, in fact, invented by Islam’s ‘enemies’ to undermine it. He made no exceptions in this regard, effectively branding all Hanafis as infidels. 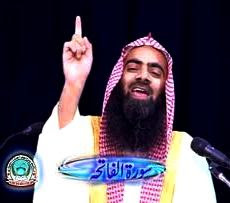 As part of their campaign against the Deobandis, South Asian Ahl-i Hadith scholars appear to have paid considerable attention to conveying to various Arab ‘Wahhabi’ shaikhs, mostly resident in Saudi Arabia, Kuwait and the United Arab Emirates, information about the ‘false’ and ‘un-Islamic’ beliefs of their Deobandi rivals. This is illustrated in the number of articles penned and fatwas delivered by leading Arab ‘Wahhabi’ ‘ulama against the Deobandis in recent years, a fairly new development. These writings and pronouncements have been given considerable publicity by Ahl-i Hadith websites and publishing houses, aware as they are of the prestige and authority that the views and statements of Arab ‘ulama carry among many South Asian Muslims. ^This site hosts numerous fatwas against the Deobandis and the Tablighi Jama‘at (in addition to groups like the Barelvis, Shi‘as and the Jama‘at-i Islami) delivered by important Arab ‘Wahhabi’ scholars. One of the fatwas, delivered by Shaikh ‘Abdul ‘Aziz bin ‘Abdullah bin Baz, declares the Tablighi Jama‘at as containing ‘many deviations’, including ‘aspects of bida‘ah and shirk’. The implicit message contained in this statement is, therefore, that the Tablighis cannot be said to follow the Sunni ‘way’. for many years the rector of the Deoband madrasa, and a commentary on it by another leading Deobandi, Shabbir Ahmad ‘Usmani. This book had reportedly been published for many years by an official Saudi publishing house, the Medina-based King Fahd Complex for Printing the Holy Qur’an, for mass distribution. Its publication is said to have been stopped after Ahl-i Hadith activists claimed that it propagated ‘anti-Islamic’ beliefs such as appealing to ‘the people of the grave’ (ahl-i qubur) for help. By arguing that the Deobandis were not true or full Muslims, the Ahl-i Hadith managed to convince the Saudi authorities to replace Mahmud ul-Hasan’s translation of the Qur’an by one written by a leading Indian Ahl-i Hadith scholar, Maulana Muhammad Junagadhi. The success of the Ahl-i Hadith in their campaign against the Deobandis was not limited to winning the support of key Saudi ‘ulama. Some Deobandis themselves, so Ahl-i Hadith soures claim, are also said to have been won over to the Ahl-i Hadith fold in the wake of the heated polemical exchanges between the two groups. He attacked the Tablighi Jama‘at, and the Deobandis in general, for allegedly being ‘a group devoted to spreading polytheistic beliefs and wrongful practices’, for ‘tampering with (tahrif) the Qur’an and Hadith’, and for allegedly ‘stopping their followers from reading the Qur’an and Hadith’ and thus of wrongly claiming to be genuine Sunnis. The Tablighi message, he declared, was an open ‘invitation to distortion in the true religion’. For his part, Anas announced that following his ‘conversion’ he had decided to stop the publishing and sale of several dozen books, mainly texts penned by revered Deobandi elders, which, he claimed, contained numerous ‘wrong’ beliefs that were clearly against the Qur’an and Hadith. He also revealed that he was replacing numerous books by Deobandi scholars by texts prepared by Ahl-i Hadith ‘ulama. It was urgent, Anas argued, that the ‘truth’ of the Ahl-i Hadith position be put forward against the claims of the Deobandis, because, he insisted, the Deobandis did not properly follow the Qur’an and the Hadith. Referring to the Tablighis, he said, ‘Very few of their practices are in accordance with the Qur’an and sunnah’. ‘Even their prayers are not in conformity with the Prophetic practice’, he claimed, referring to the Deobandi method of praying that differs in some ways from that of the Ahl-i Hadith. ‘Prayers are the most important thing’, he stressed, probably suggesting that if the Deobandi, or Hanafi more generally, method of worship was ‘wrong’, it was hardly surprising that in other respects, too, they had gone far ‘astray’ from the practice of the Prophet. The publication of ad-Deobandiyah and similar literature and the banning of Mahmud ul-Hasan’s translation of the Qur’an came as a summons for battle for the Deobandis. Being branded as ‘polytheists’, and, therefore, effectively as apostates, was taken as a major insult. It was also probably feared that such virulent anti-Deobandi propaganda, particularly when conducted inside Saudi Arabia itself, could lead to a complete loss of valuable Saudi as well as other Arab patronage, besides greatly tarnishing the image of the Deobandis throughout the Muslim world. The Deobandis were, therefore, not slow in reacting. They responded with a powerful counter-attack, churning out massive quantities of literature to prove that the Ahl-i Hadith had, in actual fact, no liking at all for the ‘Wahhabis’ of Saudi Arabia and that their profession of being followers of Mu-hammad bin ‘Abdul Wahhab was just a clever ruse to attract Saudi money, thus repeating the Ahl-i Hadith charges against them. In addition to claiming to represent the ‘Wahhabi’ tradition themselves and denying the claims of the Ahl-i Hadith in this regard, some Deobandi scholars penned tracts branding the Ahl-i Hadith as being fiercely ‘anti-Islamic’. Thus, for instance, a Deobandi ‘alim from Ghazipur prepared a set of five books to denounce the Ahl-i Hadith and even launched a new journal, Zam-Zam, devoted solely to rebutting Ahl-i Hadith doctrines. In order probably to curry favour with the Saudis, he published a book in Arabic, possibly meant for prospective Arab patrons, arguing that the Ahl-i Hadith were actually ‘enemies’ of Mu-hammad bin ‘Abdul Wahhab but falsely claimed to be his followers simply in order to attract Arab funds. Numerous other Deobandis followed with their own tracts and books fiercely opposing the Ahl-i Hadith. Many of these books were penned in Arabic, directed at an Arab, particularly Saudi, audience, damning the Ahl-i Hadith as ‘anti-Islamic’. They were condemned for allegedly abusing the companions of the Prophet, the revered Imams of the four generally accepted schools of Sunni jurisprudence, and the Sufis and other ‘pious elders’, and for defying the ‘ijma or jurisprudential consensus of the ‘ulama. Consequently, numerous Deobandi scholars sought to argue, the Ahl-i Hadith could hardly be regarded as proper Sunnis or Muslims at all. Matters came to a head in mid-2001, when heightened polemics between the Deobandis and the Ahl-i Hadith and the efforts of Ahl-i Hadith leaders to discredit the Deobandis in Saudi Arabia as ‘polytheists’ led the Deobandi-dominated Jami‘at ul-‘Ulama-i Hind to organise a mammoth two-day convention in Delhi. The convention was widely advertised as the ‘Save the Sunnah’ (tahaffuz-i sunnah) Conference, and was addressed by leading Indian Deobandi ‘ulama. The message that was sought to be conveyed, as the title of the conference itself suggested, was that it was the Deobandis alone who represented the authentic sunnah or practice of the Prophet, and that, therefore, they had the right and the duty of ‘protecting’ it. The focus of the impassioned speeches delivered at the conference was the denunciation of the Ahl-i Hadith, which, speaker after speaker claimed, had emerged as the single major threat to the sunnah of the Prophet. In his inaugural address to the conference, the head of the Jami‘at and influential Deobandi leader, Sayyed ‘Asad Madani (styled by himself and his followers as imam al-hind or the ‘Imam of India’), denounced the Ahl-i Hadith as the product of a sinister ‘imperialist conspiracy’ to ‘divide’ Muslims. He bitterly harangued the Ahl-i Hadith for their belief that they alone were true Muslims and for allegedly considering all other Muslims as kafirs and polytheists. He accused them of falsely interpreting the Qur’an and the Hadith in order to stress their own claims of representing ‘authentic’ Islam, and for insulting the Sufis and learned elders and even the companions of the Prophet. He described the anti-Deobandi propaganda unleashed by the Ahl-i Hadith as the result of a sinister ‘anti-Islamic’ plot, stemming from an acute realisation that the Deobandi ‘ulama had made ‘great sacrifices’ for and ‘immense contributions’ to Islam. Consequently, he said, as the case of the controversial book ad-Deobandiyah suggested, some Ahl-i Hadith leaders had gone so far as to declare the Deobandis outside the Sunni fold and had even claimed that Deoband ‘was an institution that had declared war on the Prophet and had thrown aside his method (tariqa)’. They had also falsely alleged that the ‘very foundations’ of Deoband were ‘based on disobedience of the Prophet’. Interestingly, Madani did not mince words in critiquing the Saudi government for what he saw as its role in fanning anti-Deobandi sentiments through the Ahl-i Hadith. This represented a major shift in Deobandi strategy, an indication that many Deobandis were now seeking to consciously distance themselves from their earlier efforts of appeasing the Saudi regime. Noting that many anti-Deobandi books had been penned by Ahl-i Hadith scholars who had studied in Saudi universities, some of these books having been brought out by leading Saudi Islamic publishing houses, he exclaimed, ‘It is a matter of great sorrow that these institutions that had been established to promote the Qur’an and Hadith and other Islamic sciences are today working to lead Muslims outside the path of the true faith’. He even went so far as to charge the Saudi regime of abetting the Ahl-I Hadith in their campaign against the Deobandis, stating that he suspected that ‘consciously or otherwise it appears that the Saudi kingdom was engaged, or even leading, the baseless campaign against the ‘ulama of Deoband’. Concluding his speech, Madani warned Muslims to stay away from the ‘strife’ (fitna) of the ‘ghayr muqallids’, reiterating his assertion that the Ahl-i Hadith had mounted a concerted campaign against the Muslims’ ‘faith and ‘ulama’. The hidden message contained in that statement, probably, was that the Ahl-i Hadith could not be considered as genuine Muslims at all. Madani also advised his followers to reduce, as far as possible, their relations with the ‘ghair muqallids’, so as to remain protected from what he called as their ‘evil influence’. The speeches and papers delivered at the conference were later published in the form of low-priced pamphlets meant for mass distribution. The basic intention of all these pamphlets was to argue the case that the Ahl-i Hadith did not represent Islam at all, despite their claims to do so. Thus, the author of one pamphlet, Maulana Sayyed Mahdi Hasan Shahjahanpuri, former chief mufti of the Deoband madrasa, produced a list of fifty points on which, he argued, the Ahl-i Hadith violated the Qur’an and the Hadith. Hence, he insisted, the claim of the Ahl-i Hadith of following the Qur’an and the Hadith, and thus of being ‘true’ Muslims, was bogus. Another pamphlet, written by Muhammad Jamal Bulandshahri, teacher at the Deoband madrasa, argued that the Ahl-i Hadith were identical, in several respects, with the Shi‘as, whom he branded as the product of what he described as a ‘Jewish conspiracy’ to destroy Islam from within by creating dissensions among Muslims. He claimed that the British had sponsored the emergence and growth of the Ahl-i Hadith to set Muslims against each other. In other words, he appeared to argue that the Ahl-i Hadith could not be considered part of the Sunni, that is, Muslim, fold, despite their claims to the contrary. Yet another pamphlet, authored by Mufti Sayyed Muhammad Salman Mansurpuri, a leading Deobandi and a teacher at the Madrasa Shahi, Moradabad, went so far as to declare the ‘ghair muqallidin’ as ‘the most dangerous threat’ to Muslim unity and as a dangerous source of ‘chaos’ (fitna), suggesting that it was a major player in a grand ‘conspiracy’ hatched by the ‘enemies’ of Islam to set Muslims against each other by projecting ‘minor’ issues of difference between Muslim groups as ‘questions of faith versus infidelity’. Significantly, he directly and explicitly accused the government of Saudi Arabia and leading Saudi ‘Wahhabi’ ‘ulama of providing ‘moral’ and ‘material’ help to the Ahl-i Hadith in their campaign against the muqallids, followers of one or the other of the four generally accepted schools of Sunni jurisprudence. 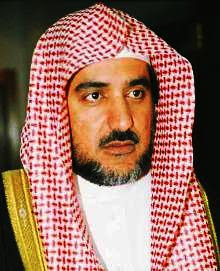 He pointed out with concern that the Ahl-i Hadith had established a strong presence in various official Islamic organisations in Saudi Arabia, singling out the Department of Religious Preaching in Mecca and Medina in particular, which, he said, Ahl-i Hadith scholars were using to ‘heap abuses’ on the ‘pious ‘ulama’ and the Imams of the schools of Sunni jurisprudence. If the ‘ghair muqallids’ were to go unchallenged, in Saudi Arabia and elsewhere, they might even ‘threaten the peace and security’ of Mecca and Medina, he warned. Mansurpuri left his readers in no doubt about his actual opinion on the Ahl-i Hadith. Thus, he appealed to the ‘ulama to rise up and oppose them in the same way as they had responded to the challenge of ‘the Qadiani religion and other such false (batil) forces’, thus seeming to suggest that he considered them as, in a sense, akin to the Ahmadiyyas or Qadianis, whom most Muslims regard as heretics and apostates. The 1990s were characterised by fierce polemical battles between the Ahl-i Hadith and the Deobandis in India, with each group charging the other of being ‘anti-Islamic’ and as hidden fronts of the ‘enemies’ of Islam. Although the two groups continue to regard each other as fierce rivals, the sharp polemical exchanges between them now seem to have dampened somewhat. One factor for this is probably the strong need that many Muslims feel to present a united front to combat the challenge of aggressive Hindu groups in the country. In addition to this is the widespread feeling among many Indian Muslims that the Deobandi-Ahl-i Hadith rivalry was simply yet another case of the ‘ulama squabbling among themselves to promote their own vested interests, and hence of not pressing relevance to the community at large. Another important factor for the apparent decline in overt strife between the Ahl-i Hadith and the Deobandis in recent years is what seems to be a significant shift in Saudi strategy. Following the attacks by events of September, 2001, Saudi Arabia came under tremendous pressure from the United States to clamp down on ‘Wahhabi’ militants at home and abroad. The Saudi strategy of sponsoring radical ‘Wahhabism’ seemed to have boomeranged, as a new generation of Islamist radicals emerged within Saudi Arabia itself, critiquing the Saudi regime for its corruption and for its close links with the United States. Conseqeuntly, the Saudis Arabia was forced to take action against their own internal radical Islamist opponents, realising the major challenge that they posed to the Saudi monarchy. Simultaneously, and because of these developments, Saudi aid to ‘Wahhabi’ groups abroad, including India, is said to have declined somewhat. This will naturally have a major impact on relations between different Muslim groups in India, and will most notably impact on the expansion of the Ahl-i Hadith, who have been the major recipient of Saudi assistance in recent years. An indication of the impact of the American as well as domestic pressure on the Saudi regime today is the claim that Saudi authorities are now advising their Ahl-i Hadith contacts in India to exercise restraint in their bitter polemical war against the Deobandis. This might well be happening, being further promoted by considerable disenchantment among many Muslims, including ‘moderate’ Deobandis and Ahl-i Hadith, with intra-Muslim rivalries at a time when Muslims in India see themselves faced with the growing challenge of Hindu militancy. Another possible indication of the shift in Saudi strategy is the fact that of late certain Ahl-i Hadith publishing houses in India have brought out books praising the Saudi state and critiquing what they describe as the ‘terrorists’ who wish to weaken it. These books argue that the ‘correct’ method of the political ‘reform’ that Islamist opponents of the regime seek is not through violence, but, rather, through ‘guiding’ the political authorities to follow the path of God by providing them with ‘Islamic’ advice. As before, this sort of propaganda is carefully crafted to suit the interests of the increasingly beleaguered Saudi regime, which today finds itself faced by the challenge of radical Islamism, which, for several years, it had so heavily invested in. A good illustration of the political direction in which the Saudi ‘Wahhabis’ want to steer their Indian Ahl-i Hadith counterparts is the recent publication of a lengthy diatribe by two leading official Saudi ‘ulama against Islamist groups inside and outside Saudi Arabia that are allegedly plotting to overthrow the present Saudi regime, principally because of its close nexus with the United States. The book consists of two essays, one by the late Shaikh ‘Abdul ‘Aziz bin ‘Abdullah bin Baz and the other by Shaikh Saleh bin ‘Abdul ‘Aziz al-Shaikh, the Saudi Minister of Religious Affairs and Endowments. ‘The Path to Salvation From Chaos: The Gulf Crisis and Lessons From the Iraqi Strife’ (Fitno se Nijat ka Rasta: Khaliji Bahran Aur Iraqi Fitna se Ibrat-o-Mu‘azat ke Pehlu). In his essay, bin Baz writes that ‘strife’ or ‘chaos’ (fitna)’ can only be countered by following the Qur’an and the sunnah. In turn, this requires Muslims to follow the guidance and instruction of what he describes as the ‘true ‘ulama’. After thus warning Muslims not to react to the presence of ‘strife’ on their own, but, instead, to do as they are told by the ‘true ‘ulama’ (by which is probably meant Bin Baz and ‘ulama of his own persuasion), he writes that those who wreck violence on innocent people in the name of Islam and Islamic jihad cannot be considered to be true, practising Muslims. In fact, such actions reflect ‘hypocrisy (nifaq), open infidelity (kufr-i sarih), evil (dajl) and deceit (fareb)’. Presumably, bin Baz is here referring to Islamist groups responsible for a wave of violent attacks within Saudi Arabia in order to destabilise the Saudi regime. The reference also seems to be to Saddam Husain, who, ironically, was earlier heavily backed as the ‘sword of Islam’ by the Saudis in his war against Iran. In times of ‘strife’, such as these, bin Baz continues, it is legitimate for Muslim rulers to seek the help of non-Muslims in order to ‘eliminate the tyrant (zalim)’. This statement probably refers to the assistance sought by the Saudis from the Americans in the wake of Saddam’s invasion of Kuwait. Such help can be procured, bin Baz says, if the non-Muslim power has the capacity to end the ‘strife’ of the ‘tyrant’. There is no religious bar involved here. Assistance can be taken from any quarter, from Jews, Christians and even from ‘idolators’. To back his argument, bin Baz refers to the Prophet having received the help of ‘pagan’ Arabs on certain occasions when there was no other course open to him. It is thus permissible, bin Baz says, for Muslims to seek the help of ‘lesser enemies’ in order to fight a ‘greater enemy’. He ends his article by seeking God’s protection from the ‘strife’ of Saddam Husain, whom he names explicitly. The article by Shaikh Saleh bin ‘Abdul ‘Aziz al-Shaikh, follows, predictably enough, on identical lines, but is argued in considerably more detail. al-Shaikh begins by referring to the Gulf War, which, he says, led to ‘immense divisions’ among Muslims worldwide. Hence, he writes, he deems it is duty to state the ‘correct Islamic perspective’ on the matter. The ‘correct Islamic perspective’ that he proceeds to set out, is, not surprisingly, the official Saudi line. ‘Praise be to God’, he exclaims, ‘in Saudi Arabia we are witness to true Islamic awakening and are spreading the true message, while the missionaries of this true message are not visible elsewhere’. His advice to the Muslims of the world is, to put it bluntly, to simply follow and acquiesce in official Saudi policy. In the face of ‘strife’, he explains, Muslims must exercise ‘patient restraint’ (sabr) and ‘tolerance’ (tahammul), following strictly the commandments of the Qur’an and the sunnah as understood and interpreted by what he calls as the ‘accepted Sunni ‘ulama’. These ‘ulama, he tells his readers, have laid down that in times of ‘strife’ Muslims must refrain from ‘impulsiveness’ (jald bazi), and should, instead, display ‘gentleness’ (naram ravi) and must carefully examine matters in their entirety and complexity before taking any action. Tolerance, a virtue that is otherwise generally missing in ‘Wahhabi’ propaganda, is repeatedly stressed by al-Shaikh in his appeal to opponents of the Saudi regime. ‘Tolerance is a very praiseworthy virtue and no praise is sufficient to express its loftiness’, he writes, recommending that it must be displayed even at times of great ‘strife’. In the face of ‘strife’ one should remain composed and not react in a hurry, he advises, quoting a hadith to press the argument. Adducing Qur’anic support for this claim, he says that in such situations Muslims must ‘not even talk about matters related to strife’, but, instead, must simply do as they are told by the ‘pious Muslim ruler’ and the doctors of Islamic law. To talk about the prevailing ‘strife’ might threaten to make the problem even more intractable, he cautions. No action must be taken that would lead to divisions among the Muslims, he warns, probably suggesting that opposing the Saudi rulers would be tantamount to setting Muslims against each other. ‘All forms of dissensions’, he announces, ‘be it because of difference of views, words or deeds’, are a ‘curse’ (azab) that would be punished by God, and would inevitably lead one to ‘stray from the Sunni fold’ and from the ‘truth’ itself. Hence, on all occasions, particularly in times of ‘strife’, Muslims must seek to preserve Muslim unity, refrain from acting on their own, and, instead, must follow the ‘true ‘ulama’, who are said to possess proper knowledge of Islam, in contrast to others. al-Shaikh here refers explicitly to the Saudi case, claiming that since a ‘genuine’ Islamic judicial system exists in the country, Muslims there must abide strictly by the opinions of the judges appointed by the state, whose views on the current situation of ‘strife’ al-Shaikh presumably represents. In contrast to bin Baz, al-Shaikh appears to admit, albeit indirectly, the existence of certain legitimate grounds for disaffection with the Saudi regime. Yet, like bin Baz, he rules out the legitimacy any form of vocal or effective opposition to the regime. True Sunnis, he argues, ‘always stress the unity of the community’, and are ‘well wishers of their rulers and constantly pray to God for them’, even if they witness in their rulers ‘things that they find distasteful’. ‘If this point sits firm in our hearts’, he adds, ‘we will be counted among the Sunnis’. This assertion probably is probably intended to suggest the illegitimacy, on ‘Islamic’ grounds, of opposition to the Saudi regime despite the regime’s possible ‘distasteful’ deeds. Suitable ‘Islamic’ arguments are marshalled for this claim. Muhammad(S) is said to have insisted that rulers and the ruled relate to each other in a spirit of ‘compassion’ (khair khwahi), and the ‘true’ Sunni ‘ulama are said to have insisted on the ‘unity of rulers and their subjects’. al-Shaikh admits that subjects can advise their rulers, but insists that in this they must follow the rules laid down by the Qur’an and sunnah and explained by the ‘true’ Sunni ‘ulama. He quotes a hadith to the effect that such advice must not be done ‘openly’ or ‘explicitly’ (khullam khulla). Rather, it must be done in private. Further, the ruler is not bound to accept the advice rendered to him. If Muslims do not act in this manner in relating to their rulers, al-Shaikh warns, they will be counted among the ‘sinners’ for ‘going against the method’ of the Sunnis. Direct opposition to established rulers is a gross violation of God’s will, al-Shaikh writes, for God is said to have appointed the rulers in their place. It is thus, he says, a right that the ruler has over his subjects that they should pray for him. In this regard al-Shaikh quotes an unnamed source, whom he describes as a ‘learned, pious Sunni scholar’, as saying, ‘When you see someone praying for his ruler then you should know that his beliefs are correct. If you see someone cursing his ruler then know that he is an innovator (bida‘ati)’. It is incumbent on subjects to pray for their rulers even if the latter are impious, al-Shaikh adds, to further buttress his argument. This statement is perhaps directed at the Islamist opposition to the Saudi regime angered at the corruption and licentiousness of the Saudi rulers and for their alliance with the United States. Opposition to the rulers is thus equated with ‘strife’, even if such opposition is seen by its proponents as a means to counter ‘strife’. Hence, ‘revolt’ (baghawat) against rulers is presented as wholly ‘un-Islamic’. In al-Shaikh’s scheme of things the monarch appears as all-powerful, although in some sense he is dependent on the ‘true’ ‘ulama for ‘advice’. This advisory role is said to be the prerogative of these ‘ulama because they alone are allegedly qualified to decide on issues in the light of Islamic teachings, given their own training. They are, because of their knowledge, the ‘heirs of the Prophet’. No one else, al-Shaikh says, has the right of marjiyat, of deciding between ‘faith and infidelity’, ‘Islam and non-Islam’, in relation to any matter. ‘Explaining the truth’ (haq ka bayan) is, he asserts, a right that belongs to these ‘ulama alone. Independent action against the rulers is thus ruled out. Recognising the fact that the Saudi regime’s close links with the United States, particularly its support for the American-led war on Iraq, has incensed many Muslims, al-Shaikh seeks to provide suitable ‘Islamic’ legitimacy for the Saudi-American alliance. al-Shaikh’s lengthy and convoluted essay, which in its Urdu translation runs into more than forty pages, is thus carefully crafted to deny the legitimacy of internal opponents, Islamist as well as other, to the Saudi regime. There is, as in bin Baz’s presentation, no explicit recognition at all of the real grievances of the opponents of the Saudi regime and nor any sign of critique of the regime for its internal and external policies, in particular for its role in abetting the American invasion of a fellow Muslim country. Like several other such books and tracts that have been brought out and disseminated by Indian Ahl-i Hadith publishing houses in recent years, it is intended as an apology for and defence of the Saudi regime. Its translation into Urdu and its publication and distribution in India is a clear indication of the importance that the Saudi regime and its client ‘ulama place on the urgent need to counter opposition to the regime’s policies among Muslim communities abroad. It highlights the fact that several Ahl-i Hadith institutions in India have been willing to work along with the Saudis in pursuance of this agenda. It also indicates how Islam is conveniently marshalled, and interpreted in often diametrically opposing ways, by the Saudi regime to suit its own strategic and ideological purposes abroad. Saudi Arabia is said to have been the largest financer of radical Islamist groups abroad, some of whom, as in the Philippines, Chechenya, Bosnia and Kashmir, have taken to armed struggle and terrorism against non-Muslim states. Saudi-funded literature routinely extols such groups as mujahids engaged in a legitimate Islamic jihad. Yet, faced now with its own internal and increasingly vocal Islamist opposition, it considers similar movements within Saudi Arabia as major sources of ‘strife’ and as clearly ‘un-Islamic’. Whether, as a result of increasing international pressure, the Saudis will be willing to extend the same logic to Islamist groups abroad whom they have been patronising for many years is a moot point. The July 2010 Lahore bombings occurred on 1 July 2010 in Lahore, Punjab, Pakistan. 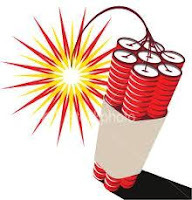 Wahabi suicide bombers blew themselves up at the Sufi shrine,Data Durbar Complex. At least 50 people died and 200 others were hurt in the blasts. 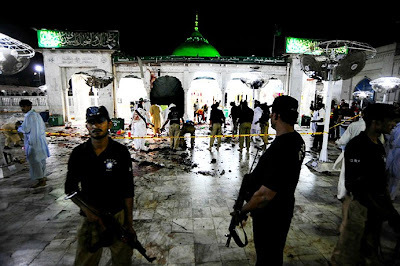 This was the biggest attack on a Sufi shrine in Pakistan since 2001. "Allah (SWT) not your Rab?" No matter how hard you try this “Evil Wahhabi Breed” ... will not comprehend? Mu-hammed bin Abdul Wahab Najdi’s Jihad! "Whatever that has been made in the form of a grave and which is of course against Shariat is forbidden and to demolish them down to earth's level is Wajib for all Muslims without any concession, whether it is a Prophet's grave or of any other person". For details, see Abul Mukarram ‘Abdul Jalil, Imam Muhammad bin ‘Abdul Wahhab Ki Da‘wat Aur ‘Ulama-i Ahl-i Hadith Ki Masa‘i, Varanasi: Idara al-Bahuth al-Islamiya, 2001, pp.37-159. For an Indian Shi‘a critique of ‘Wahhabism’, see Farogh Kazmi, Fitna-i Wahhabiyat, Lucknow: Idara-i Tahzib-i Adab, 1998. Stephen Schwartz, The Two Faces of Islam: Saudi Fundamentalism and Its Role in Terrorism, New York: Anchor Books, p.179. For an interesting discussion of the political economy of Saudi foreign aid and the promotion of Saudi ‘Wahhabism’ abroad, see ‘Abdul Qayyum, Amriki Khalij-i Fars Palisi Aur Saudi Arab, published by the author, Hyderabad, 2004. Muhammad Jamal Bulandshahri, op.cit., p.10. 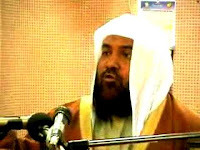 For details, see ‘Abdullah Bahawalpuri, Ikhtilafi Masa‘il Mai Haq-o-Insaf Ki Rah, Delhi: Dar ul-Kutub al-Salafiyah, 2004. For Ahl-i Hadith attacks against these groups, see various articles on www.ahya.org. This is a Mumbai-based Ahl-i Hadith website, which has clear Saudi connections, and carries numerous articles penned by contemporary Saudi ‘Wahhabi’ ‘ulama. Thus, for instance, Shakil Ahmad Meeruthi, a Delhi-based Ahl-i Hadith scholar, claims that the muqallids, who advocate strict compliance with one of the four generally accepted schools of Sunni fiqh, concoct statements which they wrongly attribute to the Prophet, and insists that the punishment for this crime is punishment in hell (Shakil Ahmad Meeruthi, ‘Introduction’, in Salahuddin Yusuf, Tehrik-i Jihad: Jama‘at-i Ahl-i Hadith Aur ‘Ulama-i Ahnaf, Delhi: Dar ul-Kitab al-Islamiya, 2000, p.3). Abul Mukarram ‘Abdul Jalil, op.cit., p.37. The author mentions that his Saudi teacher. ‘Abdur Rahman bin ‘Abdul Latif al-Shaikh was instrumental in getting him to write the book, and paid the Jami‘a Salafiya, Varanasi, the apex madrasa of the Indian Ahl-i Hadith to publish ten thousand copies of the book (p.12). ‘Abdul ‘Aziz bin ‘Abdullah bin Baz, Sirat-i Shaikh Muhammad bin ‘Abdul Wahhab, al-Kitab International, New Delhi, n.d., pp.47-48. Saleh bin Ghanim al-Sadlan, Saudi Arabia Ki Da‘wati-o-Ta‘limi Sargarmiyan Aur Unke Nata‘ij (translated by ‘Abdur Rahman bin ‘Abdul Jabbar Farewai), New Delhi: Farewai Academy, 2004. Cited in Mahfuz ur-Rahman Faizi, Shaikh Muhammad bin ‘Abdul Wahhab Ke Bare Mai Do Mutazid Nazren, Varanasi: Jami‘a Salafiya, 1986, p.i. Cited in Qadri, op.cit., p.136. Cited in Faizi, op.cit., p.20. Interestingly enough, despite Zakariya’s approval here of the ‘Wahhabis’, his Faza‘il-i ‘Amal, a compilation of stories widely used in the Tablighi Jama‘at, is banned in Saudi Arabia. So, too, are the activities of the Tablighi Jama‘at, which is officially not allowed to function in the Kingdom. Yasin Akhtar Misbahi, in ‘Abdul Sattar Rizvi, Tablighi Jama‘at Saudi Mufti Ki Nazar Mai, Delhi: Maktaba Na‘imiya, n.d., pp.5-6. Sayyed ‘Asad Madani, Khutba-i Sadarat, New Delhi: Farid Book Depot, 2001, pp.6-20. Mohammed Zeyaul Haque, op.cit.. An abridged Urdu version of the book was later published in India and Pakistan, making somewhat the same arguments. Quoting from the books of numerous Deobandi elders, the author claimed that the Deobandis held numerous beliefs that were clearly ‘un-Islamic’. These included belief in pantheism (wahdat al-wujud), faith in the intercessionary powers of the dead, and several other Sufistic beliefs that, the author argued, made the Deobandis ‘go even further [in their disbelief] than the polytheists of Mecca’ (Sayyed Talib ur-Rahman, Deobandi Aqa‘id Ka Tahqiqi Ja‘iza: Qur’an-o-Hadith Ki Roshni Mai, Delhi: al-Hamd Publications, 1997). The author is said to have also written a book in Arabic against the Deobandi-related Tablighi Jama‘at movement. ‘Abdul Sattar Rizvi, op.cit., pp.8-10. Sayyed Husain Ahmad Madani, op.cit., p.18. Salafi’s book appeared in the form of three volumes, and was based on the author’s doctoral thesis submitted to the Islamic University of Medina. In his introduction, Shakil Ahmad Meeruthi, the owner of the Delhi-based publishing house which published the Indian edition of the book, writes that the book was first issued by the Maktab al-Da‘wah wa‘l Irshad wa Ta‘wiya al-Jaliyat, the Saudi ‘Office for the Invitation and Guidance of Expatriates’, as a response to alleged ‘wrong’ propaganda by the Deobandis against the Ahl-i Hadith. Sayyed Yusuf ur-Rahman Rashid, Kya ‘Ulama Ahl-i Sunnat Wa‘l Jama‘at Hai?, Delhi: Dar ul-Kutub al-Islamiya, 2001. As a cautionary note the author adds that he does not claim that all Deobandis are kafirs and polytheists. Yet, he says, they need to be ‘rescued from their ignorance’, but advises that the temptation to issue fatwas against them must be resisted. However, he adds that Muslims should not pray behind Deobandi ‘ulama who hold ‘false’ beliefs (p.95). He also declares that ‘worshippers of the saints’) (pir pujari) and followers of pantheism (wahdat al-wujud) are apostates (murtads) and, therefore, fit to be killed (wajib ul-qatl) (p.97). Abu Iqbal Salafi, Mazhab-i Hanafi Ka Mazhab-i Islam Se Ikhtilaf, Mumbai: Idara Da‘wat ul-Islam, 1999, pp.6-7. The interview can be read and listened to on www.ahya.org, an Indian Ahl-I Hadith website probably based in Mumbai, which seems to have strong Saudi ‘Wahhabi’ connections. Muhammad ‘Aqil, Faza‘il-i ‘Amal Ke Nashir Ki Tauba, Delhi: Dar ul-Kutub al-Islamiya, n.d., p.35. Among the books by Deobandi ‘ulama that Anas’ publishing house has now ceased publishing is the second volume of the Faza‘il-i ‘Amal, an immensely popular book among the Tablighis penned by the chief ideologue of the movement, Muhammad Zakariya. It was Anas’ father, the founder of the Idara-i Isha‘at-i Diniyat, who had given the book its name and who had first published it. In fact, the publishing house raked in immense profits from this book, bringing it out in four languages, Urdu, Arabic, English and French. Anas added that he planned to cease publishing the first volume of the book shortly, confessing that he could do not do so immediately as that might badly affect the profits of his publishing house. 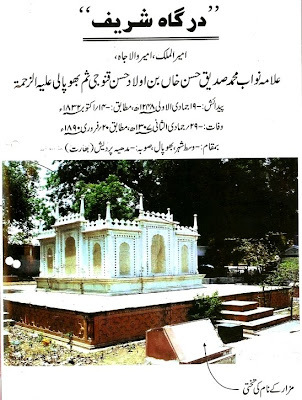 Muhammad Ishaq Zahid, Masla-i Taqlid, Fatiha Khalf al-Imam, Talaq-i Thalitha, Namaz-i Tarawih Ke Mutaliq Ahl-i Hadith Aur ‘Ulama-i Harimain Ka Ittifaqi Rai, Delhi: Dar ul-Kutub al-Islamia, n.d., p.13. See, for instance, Muhammad Jamal Bulandshahri, op.cit..
 Muhammad Jamal Bulandshahri, op.cit., p.40. Muhammad Akhtar Yasin Qadri, op.cit., p.119. Sayyed ‘Asad Madani, op.cit., pp.16-17. Sayyed ‘Asad Madani, op.cit., p.20. Sayyed Mahdi Hasan Shahjahanpuri, Qur’an-o-Hadith Ke Khilaf Ghayr Muqallidin Ke Pachas Masa’il, New Delhi: Farid Book Depot, n.d.
 Mahmud Hasan Bulandshahri, Tawassul-o-Isteghasiya Baghayr Allah Aur Ghayr Muqallidin Ka Mazhab, New Delhi: Farid Book Depot, n.d., p.2. Muhammad Jamal Bulandshahri, op.cit., pp.1-5. Sayyed Muhammad Salman Mansurpuri, Tehrik-i La Mazhabiyat, New Delhi: Farid Book Depot, pp.1-15. 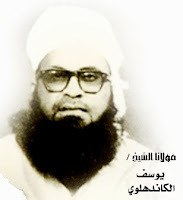 ‘Abdur Rahman bin ‘Abdul Jabbar Farewai (ed. ), Fitna Se Nijat, Delhi: Dar ul-Kitab al-Islamiya, 2004. Muhammad Akhtar Yasin Qadri, Izala-i Fareb: Ba Jawab Taqlid-i Shaksi Ke Asib, Delhi: Kutub Khana Amjadiya, 2001, pp.82-118. Manzur Nu‘mani, Shaikh Muhammad bin ‘Abdul Wahhab Ke Khilaf Propaganda Aur Hindustan Ke ‘Ulama-i Haq Par Uske Asrat, Lucknow: al-Furqan Book Depot, 1998, p.19. by Yoginder Singh Sikand did his B.A.(Hons.) (Economics), from St. Stephen's College of the University of Delhi, 1985–88, followed by M.A. (Sociology) (1990–92) and M.Phil. (Sociology), from the Jawaharlal Nehru University, New Delhi, 1992-94. Thereafter he received a PhD in history on the Tablighi Jama'at from Royal Holloway College, University of London 1995-98. He has been a Post doctoral Fellow at Royal Holloway, University of London (1999–2001), and the International institute for the Study of Islam in the Modern World at the University of Leiden, in the Netherlands (2002–2004).